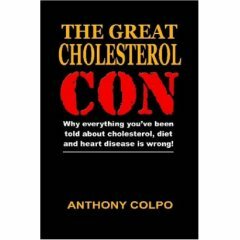 Readers of this site have known it for some years, but the news is coming out more and more clearly: Cholesterol is a scam perpetrated by pharmaceutical interests at the cost of the health of millions of believers in modern medicine. Not only do cholesterol lowering medications - the so-called statin drugs - have appalling side effects, they are practically useless, while having been the greatest money makers for pharmaceutical companies for the past two decades. We are talking about billions of dollars every year ... best selling drugs ... pervasive advertising ... and an appalling lack of evidence. The role of cholesterol as an important, even vital substance for our health has been suppressed by those interested in selling us the medication. The rationale was prevention of heart attacks, but it turns out to have been an empty promise, according to a commentary on scientific studies recently published in The Lancet. Eating saturated fats (or eggs) does not affect your cholesterol level. High cholesterol does not cause heart attacks. I am stunned. I am shattered. CAN THE TOOTH FAIRY BE FAR BEHIND? But read for yourself ... here is what Dr Malcolm Kendrick has to say about the scam in his recent article in the Daily Mail. Conventional medical wisdom about cholesterol — and the role of statins — is now being challenged by a small, but growing number of health professionals. Among them is Dr Malcolm Kendrick. A GP for 25 years, he has also worked with the European Society of Cardiology, and writes for leading medical magazines. If you've got a raised risk of heart disease, the standard medical advice is to take a cholesterol-lowering statin drug to cut your chances of having a heart attack — because, as we all know, cholesterol is a killer. Countries with the highest saturated fat consumption — Austria, France, Finland and Belgium — had the lowest rate of deaths from heart disease, while those with the lowest consumption — Georgia, Ukraine and Croatia — had the highest mortality rate from heart disease. Sausages, eggs, cheese, bacon and milk were restricted. Fruit and fish, however, were freely available. I’m talking about rationing in Britain during and after World War Two. In that time, deaths from heart disease more than doubled. It's a bit of a paradox, isn’t it? That's one of the features of the dietary hypothesis - it involves a lot of paradoxes. So what to do? Put them on statins; bring their cholesterol level down — below 5.0 mmol is the official advice. This may be because cholesterol is needed to fight off infections or there may be other reasons — but many other studies have found exactly the same thing. 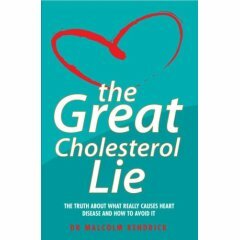 • Extracted from The Great Cholesterol Lie by Malcolm Kendrick, published by John Blake. Confirmation of the scam and the hiding of all evidence to the contrary is coming out little by little. I will be collecting links to examples here as they become available. Do Statins Accelerate the Onset of Dementia? Although scientists have yet to pinpoint the direct cause, drops in total cholesterol levels may precede the onset of dementia by a minimum 15 years, perhaps another sign pushing healthy patients to take statins -- among America's best selling medications -- is no more than a health-harming scam. Video: Is Bad Cholesterol a Secret Scam? The fraud concerning bad cholesterol is finally exposed... Don't be fooled by the deceptive marketing of Big Pharma! Thank you for your article. However, there really are a groups of people for seriously elevated levels. I'm one. It's among Afrikaners here in South Africa, Jews and Indians (strange grouping together). But with us the cholesterol actually makes lesions around the eyes (xantomas??) and I have those too. So what now? I DO have major muscle probs on statins and have to opt for the fibrates.